Since 1986, AQ Productions has been a leader in providing companies with high quality audio services. Our services include on-hold programs, voice prompts and greetings, corporate and industrial narration, radio/TV commercials and audio for the digital age, including your website. AQ Productions creates company brand and image programs that will effectively target your message at the point of customer contact. 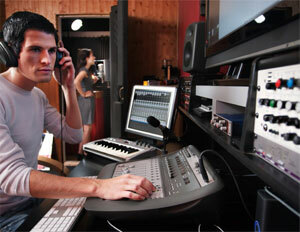 We work with talented voice artists all over the world. If your project requires an international language, ask us for details regarding your specific requirements. Be sure to visit our Demos page to hear samples of all our voice artists, including our most requested international voices. Copyright © 2019 AQ Productions, LLC. All Rights Reserved.